This book is technically more difficult in several genres. The grooves and fills in volume 3 are more demanding. The student gains a higher level of knowledge of drumming and also learns to be a dynamic drummer. 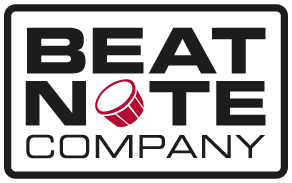 The book contains eight note beats, sixteen note beats, shuffle, funk, fill-in, jazz rock, jazz, reggae, paradiddle grooves, triplet grooves, big band drumming, samba and “cool licks”. There is a bonus chapter about drum care and the tuning of drums.